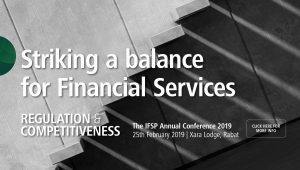 The IFSP’s conference for 2019 was held at the Xara Lodge on Monday, 25 February, and was very well attended: in all some 170 practitioners followed and participated in at lease some of the discussions. This year, besides updates on developments in areas such as taxation and the nexus between IT and financial services – FinTech for short – included important discussions on the ethics that ought to drive the industry, the reputational damage caused by abandoning those ethical and governance standards and of course, what practitioners can and should do to ensure standards are upheld. We thank all who attended for their contribution to the discussion, and ask for your feedback which may be submitted below. We won’t take much of your time, but your views on the conference, the content and organisation will be of great value to us when preparing future events! The programme with details of the speakers may be downloaded as a PDF, as well as the presentations used during the conference. Be warned, however: this time round, the speakers did not rely heavily on PowerPoint! Fintech – is Malta getting it right?, a highly topical subject given the development of VFA regulations over the past six months. AML for Blockchain and Blockchain for AML – regulating virtual assets and attracting business in the field is all very good, but how do the ever-increasing demands of AML responsibilities fit in, and equally importantly how can a more technological approach ease the AML due diligence? The transparent world – the international mood is for ever increasing transparency in tax matters and beyond. How do the Register of Beneficial Owners and DAC6 fit into a practitioner’s day to day business? 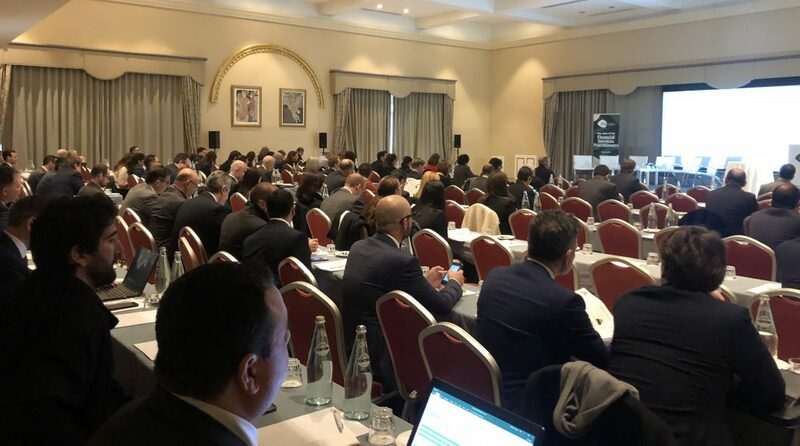 The Malta tax landscape: key developments and outlook – tax impinges on every practitioner’s business, be they a tax professional or not. We look at where tax policy is headed, and what it may mean for your business. Upholding Malta’s reputation – our jurisdiction’s reputation has taken a public battering over the past couple of years. Seasoned practitioners discussed what each individual practitioner can do to stem the damage and rebuild the trust. MFSA – reorganisation & vision – the proper functioning of the regulator is of clear interest to each and every practitioner. – The MFSA’s CEO, Joseph Cuschieri will be laying out his vision. Coordination among authorities – an FS perspective – financial services is dependent on an increasing number of authorities which regulate or service different aspects of the industry. Each, be it the MFSA, the FIAU, the MDIA or indeed any other, feed into or circumscribe the work of the practitioner. So how do the authorities coordinate their work? This is of clear interest to practitioners!